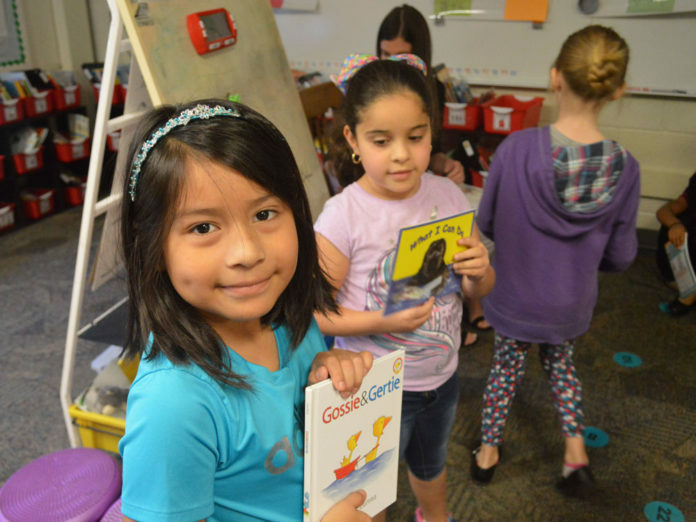 First-grader Guadalupe Guillen’s go-to is snake books. 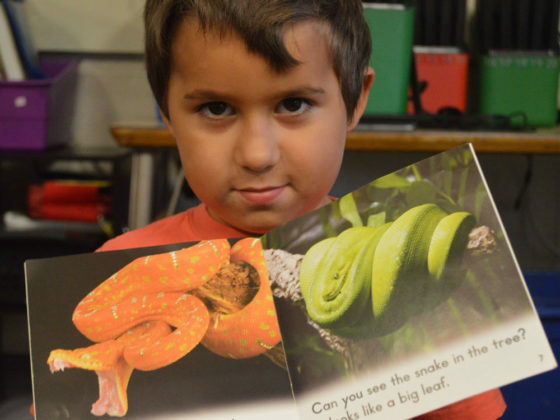 “He’s obsessed with snakes, so he sticks with my reptiles box,” said teacher Kristin Accorsi, referring to books in her classroom categorized by genre. Sure enough, minutes later the little boy in a dinosaur shirt paged through pictures of emerald tree boas and bright yellow corn snakes. “There are different colored snakes,” he explained, flipping to a picture of an orange serpent with long fangs. 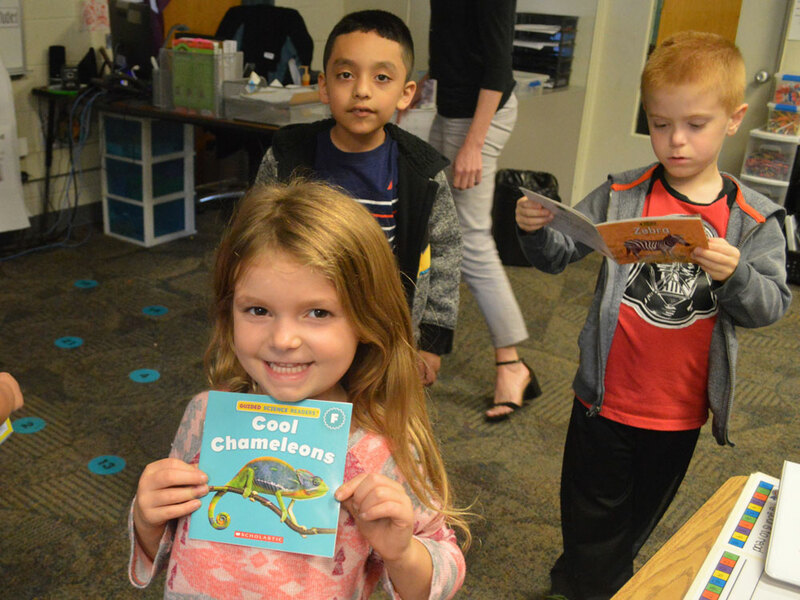 Accorsi makes sure her Oriole Park Elementary first-graders have their favorite books and new ones to discover. 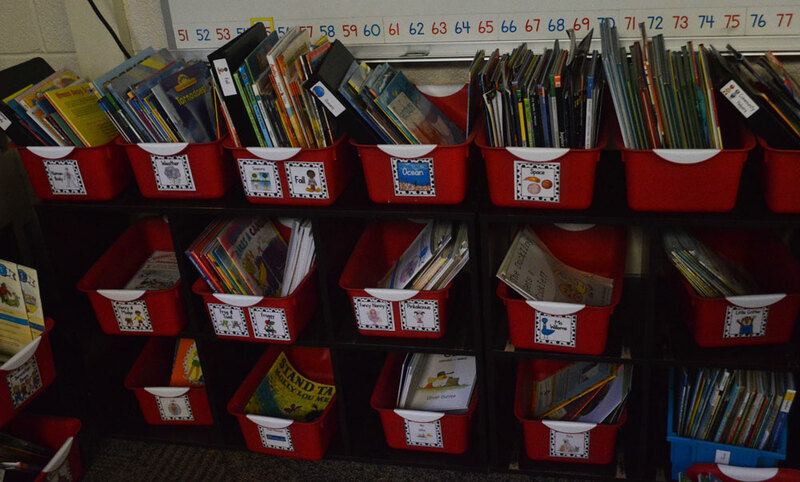 Her classroom is freshly stocked with more than 500 new titles. She gives them time to “book shop” for choices they can already read, are learning to read and aspire to read. 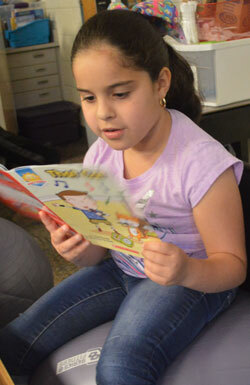 They have ample time in class to read on their own, and can check out books to bring home and read with their parents. In notebooks, they keep track of their reading goals. Accorsi is using focused strategies for Guadalupe and his 23 classmates to get the most out of every book they read, be it about snakes or anything else. Wyoming Public Schools this fall adopted Units of Study for Teaching Reading, a curriculum developed by author and educator Lucy Calkins. The district also invested in materials – hundreds of books for every classroom –– to support it. 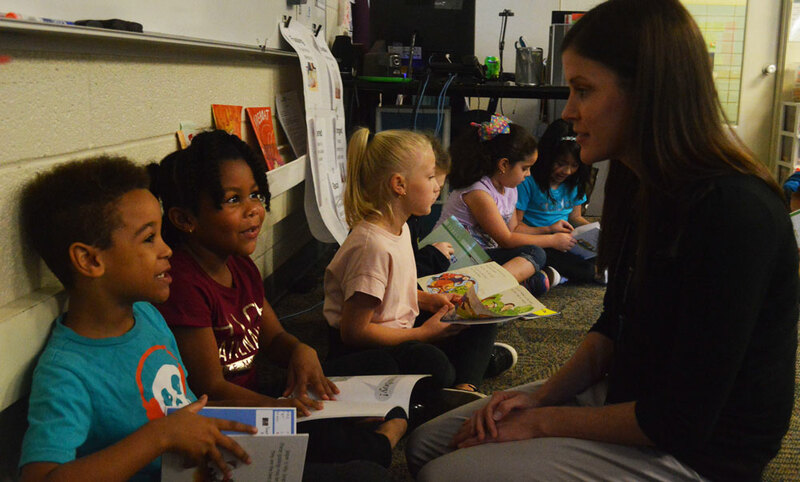 Main components of the curriculum’s reading workshop model include mini-lessons (short bursts of teacher-led instruction followed by student-led participation), independent reading time and sharing time, when classmates partner to work on a strategy. 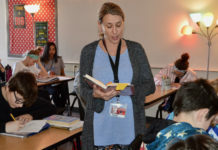 Teachers are implementing the curriculum in all district elementary schools including Oriole Park, Gladiola, West and Parkview. 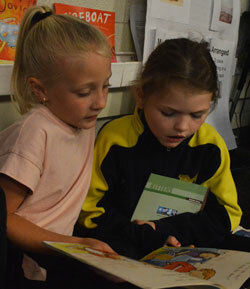 “The biggest benefit is developing real readers,” Accorsi said. 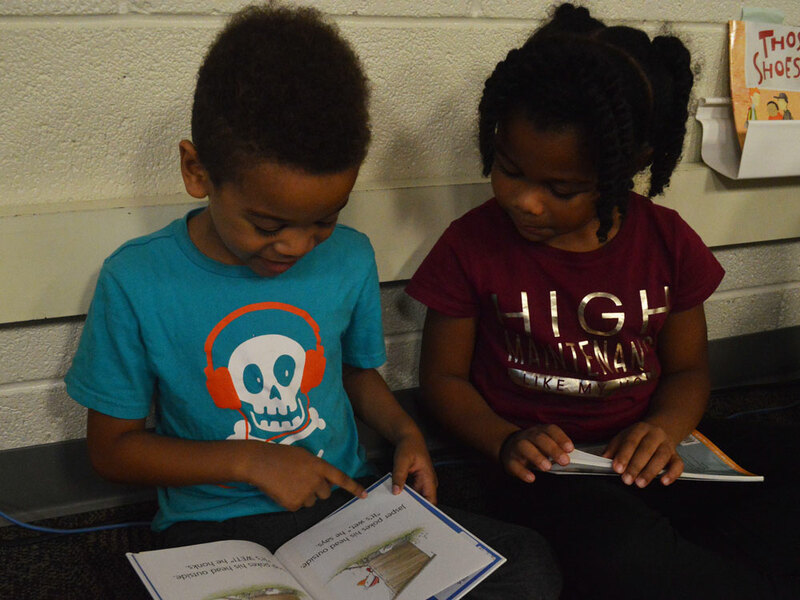 “Also, it’s a highly engaging structure because kids have a significant amount of choice in what they read.” She’s able to work with students at their level during independent reading time, reaching students who are below grade level and allowing those who are ahead to keep progressing. 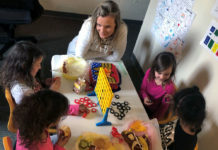 Reading workshop embeds instruction into several different activities that flow together and circle back to a strategy or aspect of literature. During a recent read-aloud, Accorsi’s students identified lessons learned in the book “Peter’s Chair” by Ezra Jack Keats. 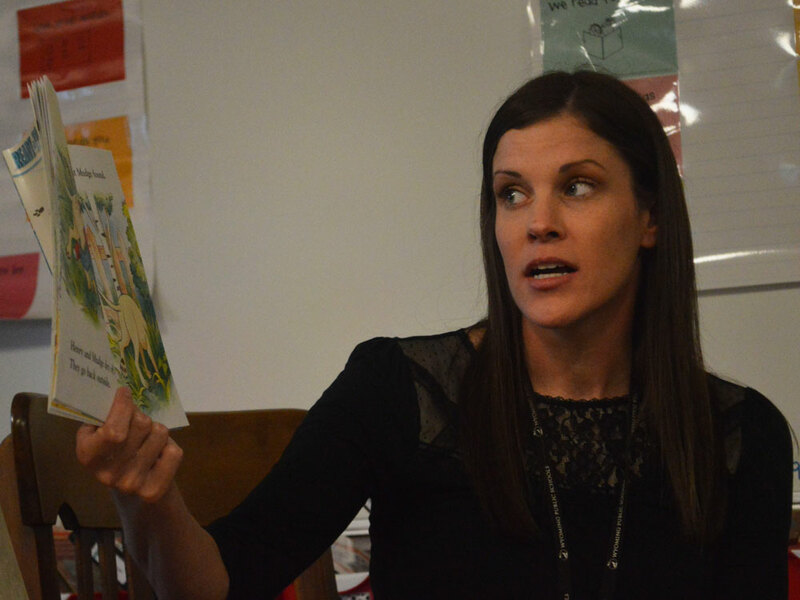 “Characters learn lessons in the book and we can use lessons in our own lives too,” she told students. After Accorsi finishing reading, students, seated in a circle, chatted about lessons learned by characters and themselves. Then came a full-class, “grand conversation.” Students’ insights give her an idea about what they are thinking. 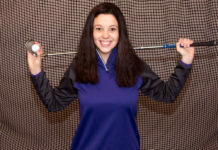 “It helps me identify misconceptions they may have or skills I may need to re-teach,” Accorsi said. Sometimes she learns things they glean from the text that, while unexpected, make sense. Shared reading comes next, when the class practices a strategy, like “scooping words,” which gets students thinking about words as part of phrases and develops fluency. Other focuses are word-solving, phonics and comprehension throughout the week. 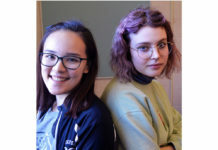 Next, Accorsi presents a 10-minute mini-lesson on concepts like “partners do something at the end of a story.” Students pair up to “do something” after a book is done, such as consider what they read and learned. Independent reading time comes next, when students eagerly choose books and settle on the floor, at their desks or wherever else they are comfy. 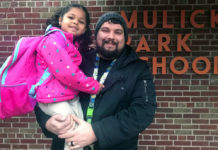 First-grader Jhoana Francisco likes it so much she doesn’t like to stop. The curriculum brings consistency to literacy instruction district-wide through research-backed strategies. Students will know expectations and lingo used in all grades and with every teacher, said Oriole Park Principal Jennifer Slanger. After 28 elementary teachers used the curriculum as a pre-adoption last school year, over the summer, all elementary teachers received four full days of training led by three staff developers from Teacher’s College Columbia University. Oriole Park and Gladiola staff members will continue training throughout the school year. 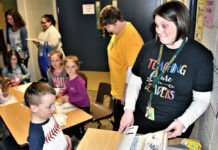 This school year, several fifth-graders are pre-adopting the curriculum, with plans for full fifth- and sixth-grade implementation next school year. 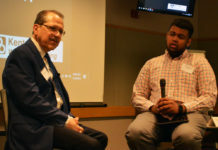 Superintendent Craig Hoekstra said the curriculum and its alignment districtwide allows staff to meet the needs of all students in every classroom. Individualized goal-setting and conferring with teachers one-on-one while learning what students like to read meets them where they are and allows them to grow. 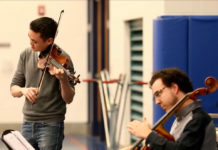 “Any time you can get students’ voice in the process –if there’s interest– there will be greater level of commitment,” he said. 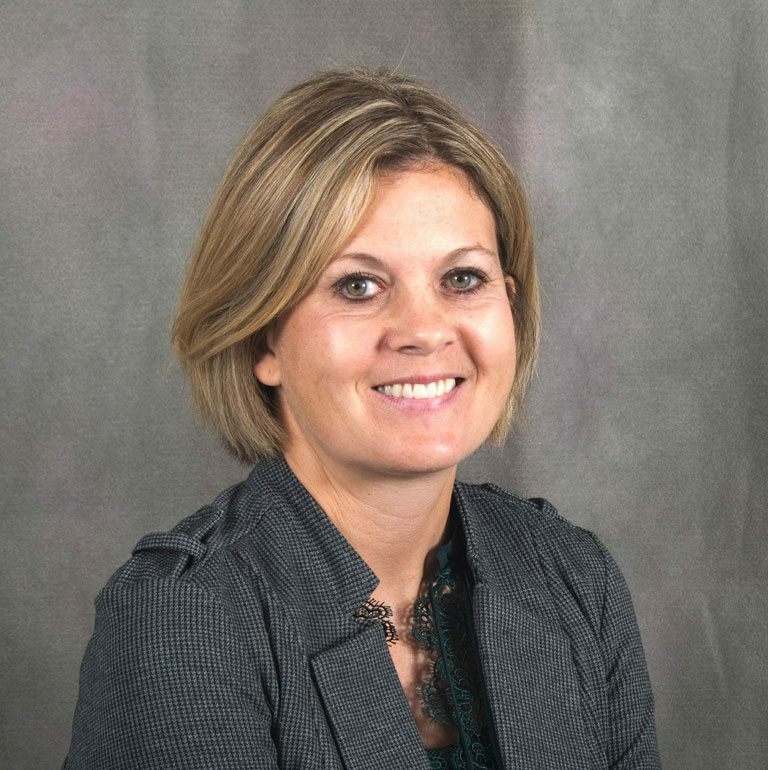 According to mischooldata.org, on the 2017-2018 M-STEP, 30 percent of Wyoming students district-wide scored proficient in English Language Arts at the end of third-grade. 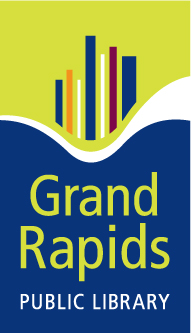 Statewide, it’s a pivotal time for young readers. 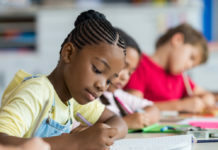 Beginning in the 2019-20 school year, according to third-grade reading legislation (Public Act 306), all third-graders need to be within one year of grade level in reading or face being held back. 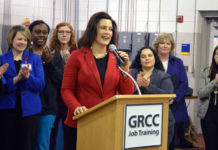 The law requires extra support for K-3 students who are not at grade level in reading, including individual reading improvement plans, which are customized plans for students reading at below grade level to improve. Part of the work toward growth is ensuring access to lots of books. 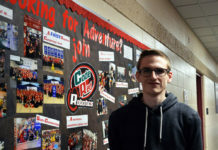 “The biggest takeaway I had (from training) was how important it is that we have books in front of students as much as possible,” Slanger said. The district provided each teacher with a “level library set,” books and resources for categorizing by level and genre, and a bookshelf. At Oriole Park, four teachers piloted the reading workshop model last school year.